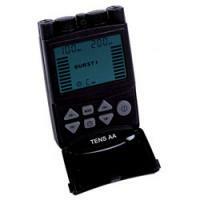 The TENS AA is a unique digital TENS device that uses AA batteries, has five treatment modes and a large LCD screen. This unit has a recall program and is easy for anyone to use. TENS/EMS Units & Stimulators can be found in our extensive online collection of products from globally recognized and trusted brands, including Current Solutions. An excellent option to consider is the TENS AA Digital Unit. 6.75" x 3.75" x 2.5"